Land of Oz Dolls was founded in January, 1979 in Savanna, Illinois by Connie Zink. 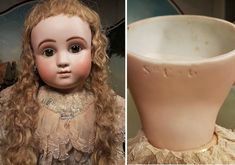 After having signed up for a porcelain doll class that was advertised in a local newspaper, Connie had no idea she had embarked onto a life-long journey into the art of porcelain doll-making. 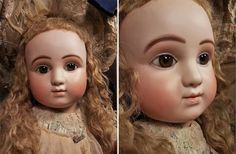 Now 38 years and several thousand dolls later, world renowned artist Connie Zink, is still producing museum quality antique reproduction and modern porcelain dolls for her customers all over the world. 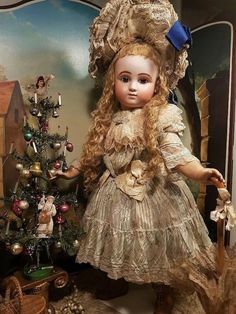 She has exhibited her dolls at shows across the country, and in 1997, Connie was awarded the coveted “Millie” at an international competition in Oneonta, New York. 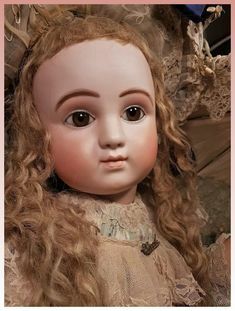 Connie enjoys making both authentic antique reproduction dolls along with painted eye modern dolls. Selections of Connie’s current dolls for sale can be found here on this website under the “Dolls For Sale” page. Her husband, Dennis, pours the greenware for the approximate 2,000 plus different antique reproduction and modern dolls that Land of Oz Dolls offers to its customers. 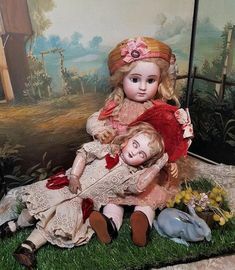 Their studio in Savanna, Il along with its beautiful doll displays, also offers a vast array of soft-fired greenware, porcelain slip, brushes, wigs, eyes, shoes, socks, and doll stands for the doll-maker. Land of Oz Dolls carries their own line of china paints for antique reproduction and modern dolls. A complete selection of supplies makes Land of Oz Dolls, a one-stop doll making shop. Connie also occasionally teaches online classes and seminars on porcelain doll-making. When Connie is not working in her doll studio, she is an active gardener and enjoys working in her many flower and vegetable gardens at her home. Connie was awarded the State of Illinois “Outstanding Master Gardener” award by the University of Illinois Extension Service in 2007. Connie and Dennis also have many flower and vegetable gardens at the guest house they own and operate called Roberts’ Roost Country Guest House located just outside Savanna amid the rolling hills of northwest Illinois. Connie also enjoys bird-watching and nature photography and many of her nature photos are on display at Land of Oz Dolls. During the months of January through April, you can also find Connie several days a week at the Savanna H&R Block office as a tax associate preparing income taxes. After the death of Dennis and Connie’s daughter Stacie in December of 2015 from liver failure, another one of Connie’s passions is showing people how to radically reduce the amount of chemicals they are exposed to on a daily basis. Connie is an Independent Consultant for “Norwex”, L’BRI PURE n’ NATURAL Skin Care and Cosmetics, “Young Living” Essential Oils, and Zurvita “Zeal for Life” Nutritional Drinks. If you would like any more information on any of these products please contact Connie. Please look for “Connie Zink” and “Land of Oz Dolls” on “Facebook”. New Bleuettes and “Friend” For Sale! 12th Day of Christmas Sales! This Is What’s On Sale! 11th Day of Christmas! This Is What’s On Sale! 10th Day of Christmas Sales! This Is What’s On Sale! It’s the 9th Day of Christmas Sales! This Is What’s On Sale!